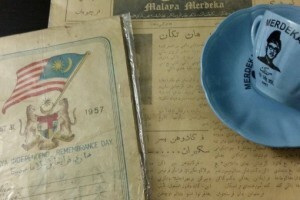 By now, pretty much everyone in KL has heard of 1,600 pandas: a global tour of panda models that made its way to Malaysia, almost breaking Instagram in the process. However, as panda-monium concluded at Publika last week, another animal caught our attention: the tapir. The Malayan Tapir, a species native to Southeast Asia, shares an uncanny resemblance to a panda as far as its colours go. But unlike the panda, the tapir has been sidelined for years despite being so close to home. 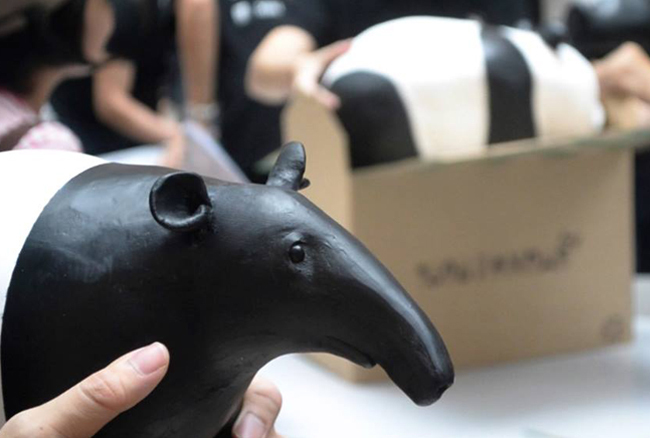 That’s why a group of Malaysians decided to crash the Panda World Tour with a model of a single tapir, accompanied by a sign: #TapiTapir. 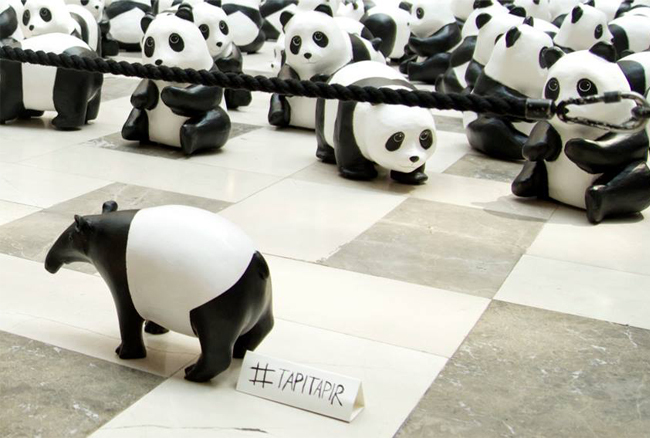 The #TapiTapir hashtag has been creating more awareness of the endangered tapir. According to the World Tapir Day website, the population of local species has declined by 50% over the past three generations. Hunting and deforestation of their habitat (due to palm oil plantations) are among the reasons that they are in danger of extinction. Thanks to the TapiTapir campaigners, more people are aware and interested in contributing to the cause of saving the tapirs. 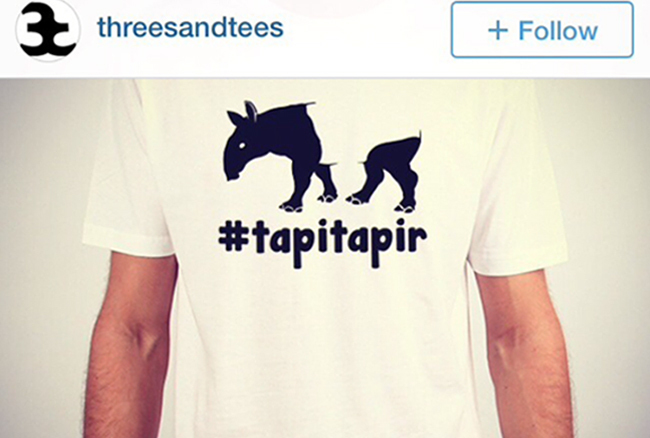 Local t-shirt designers, Threesandtees will be donating 50% of the sales from their specially-designed, #tapitapir tees to the Tapir Conservation in Malaysia. For the latest updates on how you could do your bit in saving tapirs, go to the TapiTapir Facebook page or Twitter.